The ideals of the Sikh faith advise the devotee to rise early in the morning and meditate on God. Sikhs either stand during formal prayer or sit quietly for meditative prayer. Normally Sikhs do not say prayers while kneeling as Christians or Catholics do, nor are prostrations performed as in Islam. 1 ) Wake up three hours before day break, bathe, concentrate thoughts on Ik Onkar and recite Waheguru. Devotional prayer, or meditation, known as naam jap or naam simran, is usually done while sitting comfortably, cross-legged, on the floor. Some Sikhs occasionally use steel prayer beads, called a mala, to help with concentration while silently focusing or audibly reciting "Waheguru" in contemplation of the divine. Nitnem paath is a set of morning, evening, and bedtime prayers. Panj Bania, the five daily prayers of the Sikhs are read or recited daily, while sitting, or standing. Nitnem pryaers may take from half an hour to an hour to complete depending on proficiency. Akhand Paath - uninterrupted team reading takes between 24 to 72 hours to complete depending on proficiency of readers..
Sejh, or Sidharan Paath - intermittent reading can be done alone or in teams, and may take from a week to a year or more to compete. Prayer and meditation focuses on praising God, and may also take the form of singing hymns as in kirtan. At the conclusion of evening Nitnem prayers. Before opening, reading or upon closing scripture Guru Granth Sahib. Following any gurdwara worship service where Sikh sangat has gathered. Whenever ever embarking on an important endeavor. During the Anand Karaj wedding ceremony. Sikhs believe prayer and meditation to be essential in attaining desirable qualities such as humility necessary for overcoming ego. 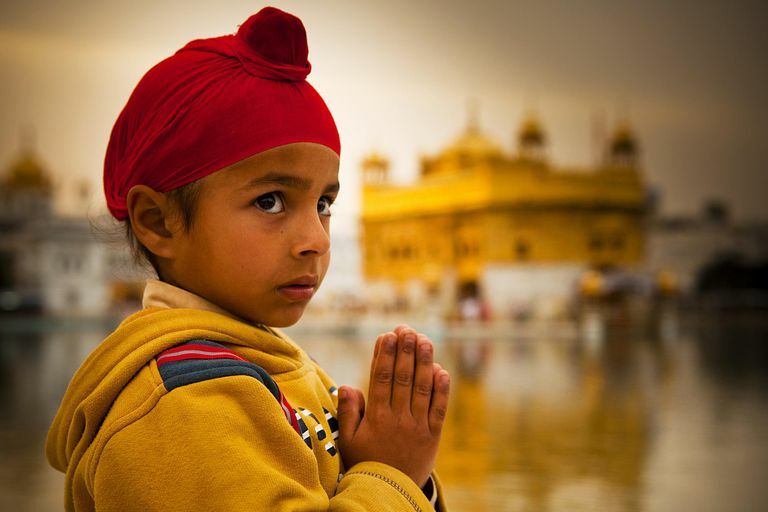 Sikh scripture counsels that each breath is an opportunity for prayer. Indeed every particle of the being is believed to be engaged in the meditative process.